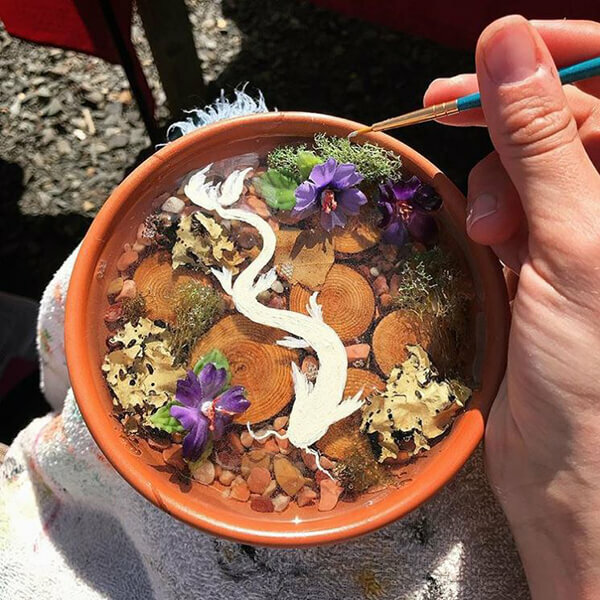 Resin art isn’t something new and we have featured many creative resin artwork on the site before. 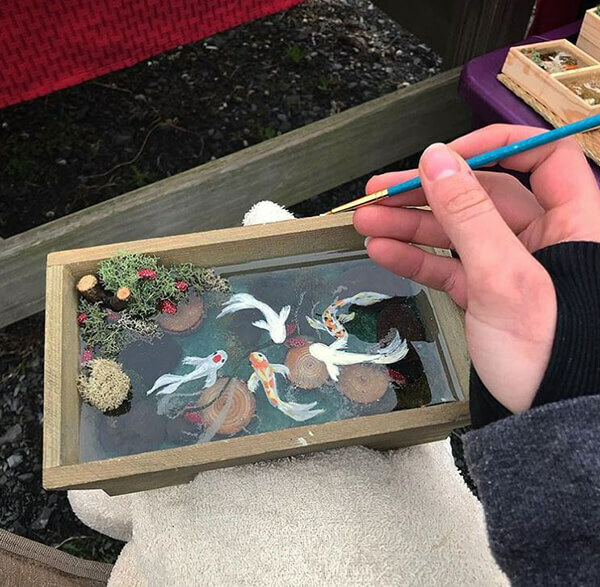 Honestly, the work by Erika Voss probably isn’t the best resin painting work you can find on internet. 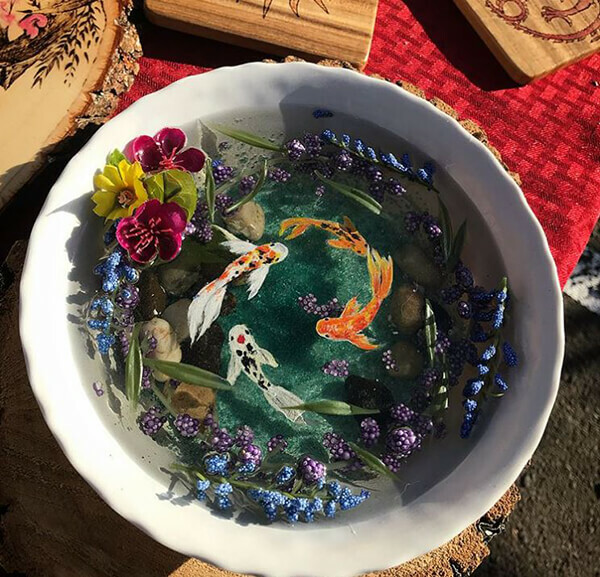 For example, the goldfish painting by Riusuke Fukahori is my favorite one. But there is one thing make Erika’s work different from others. 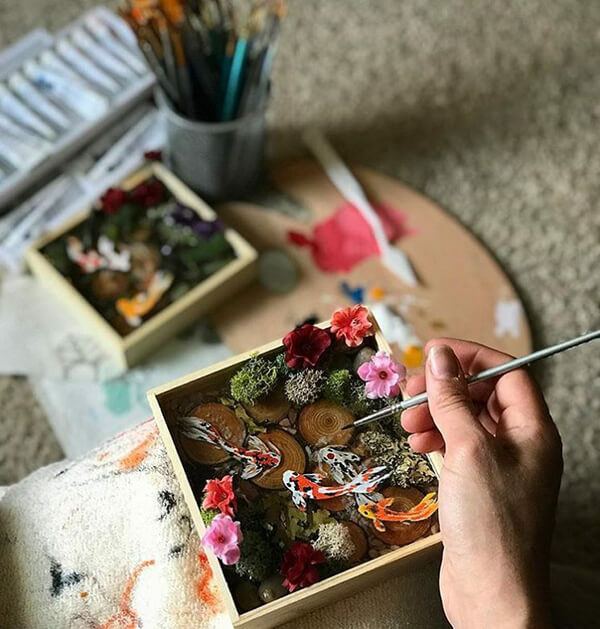 When the other artists focus mostly on painting, Erika takes one more step. 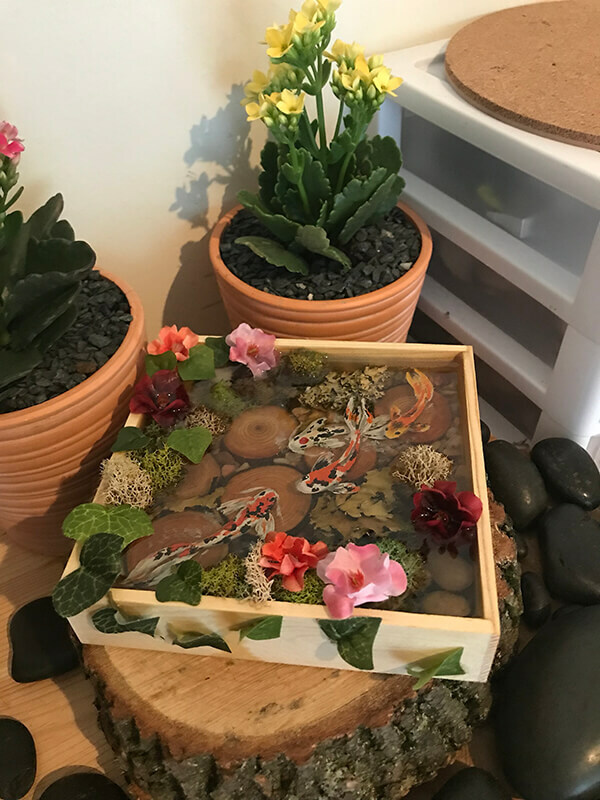 By arranging miniature pond flowers, lily pads, stones, and logs into ceramic bowls or wooden bases, Erika created a realistic miniature Koi ponds first. Synthetic liquid resin is then poured in to create the illusion of a glossy pool of water. 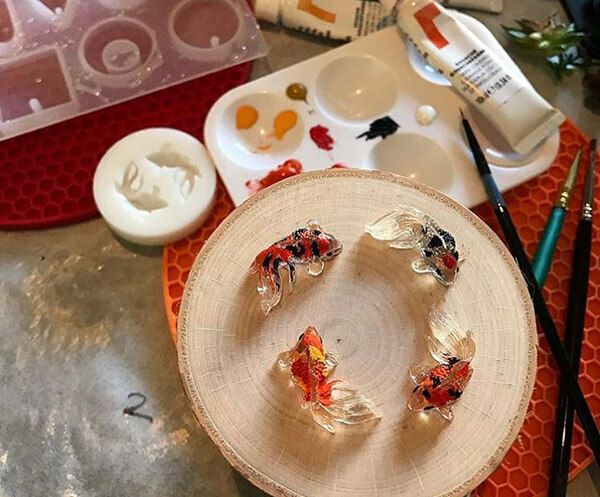 Each striking, yellow and red fish is then either painted directly onto the hardened surface, or cast in the glossy material to add extra depth. 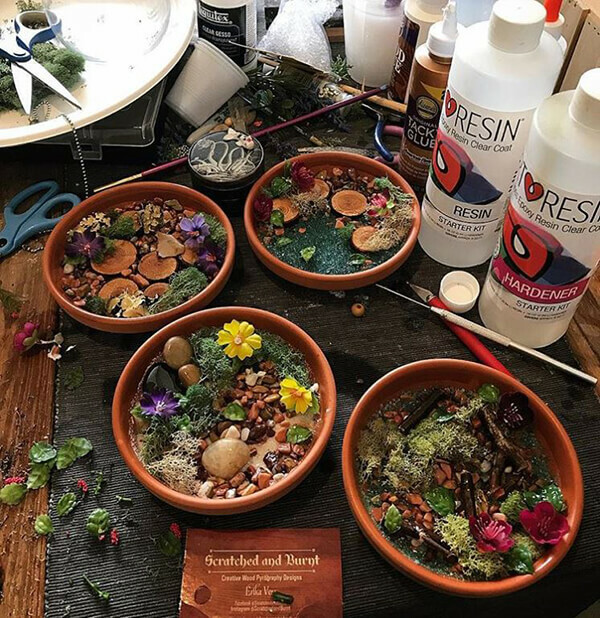 After another layer of resin, each decorative piece is then finished by using a blow torch to smooth out any unwanted bubbles. 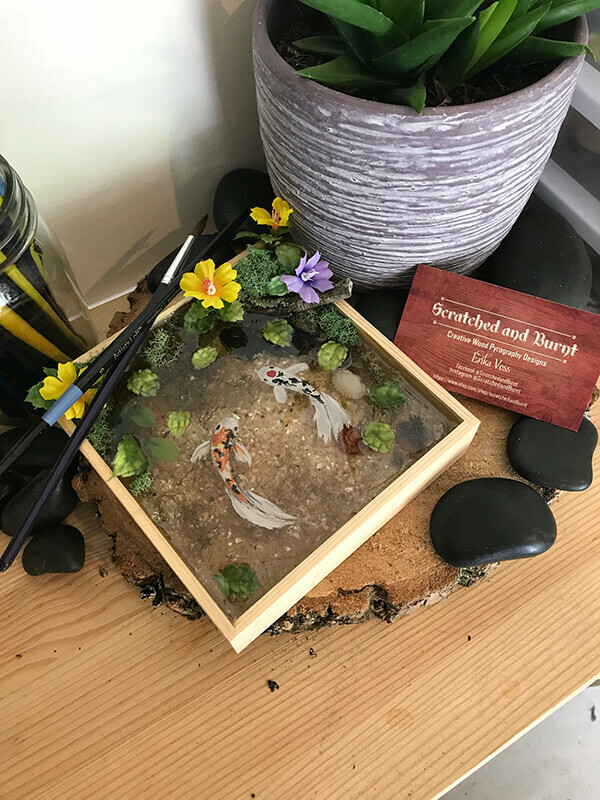 If you like these zero-maintenance koi pond placed on your desk, you can purchase them from Erika’s Etsy shop. 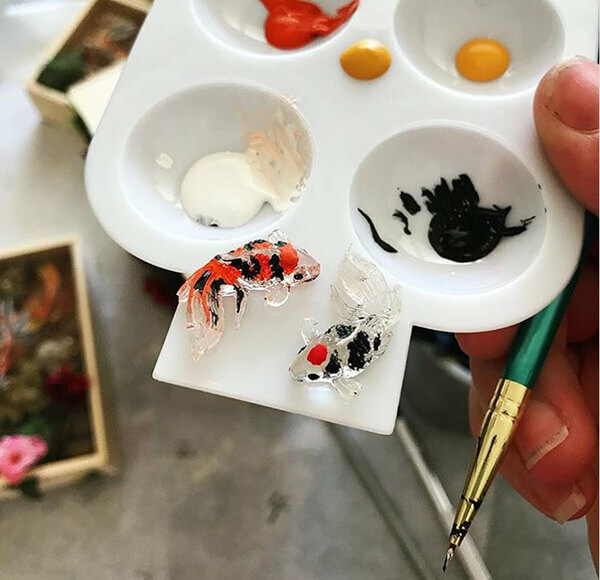 Personally, I think it will be more fun to provide a DIY kit with all the raw material, resin and the cast goldfish allows people to assemble themselves. And I won’t be worried too much about the bubbles caused by unprofessional operation. It is just normal to have bubbles in the pond right?